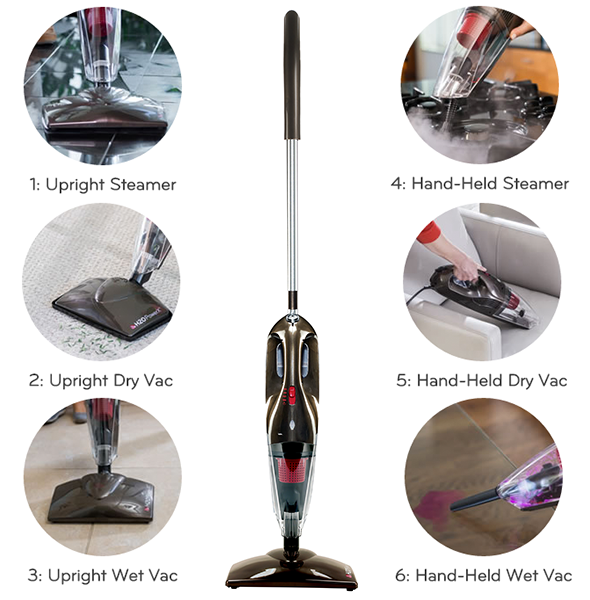 The 6-in-1 Wet/Dry Vacuum & Steam Cleaner! 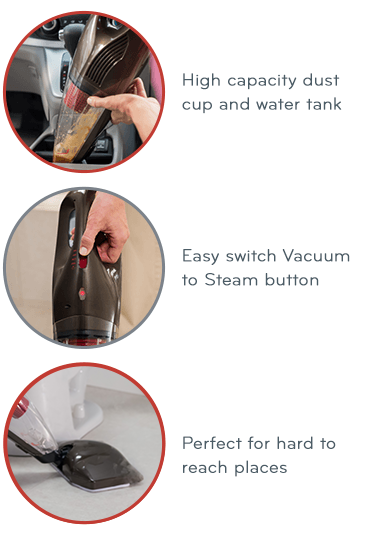 One Cleaning Tool to Steam Clean & Vacuum! surfaces then steam clean at the touch of a button. 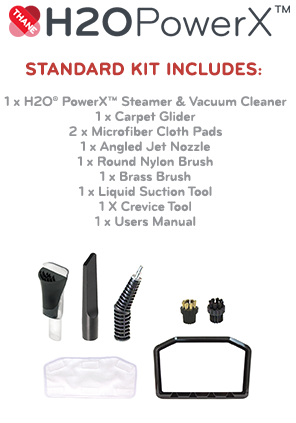 For Hard floors, H2O® PowerX™ Wet/Dry vacuuming cleans up dry messes, or liquid spills all in the same pass. 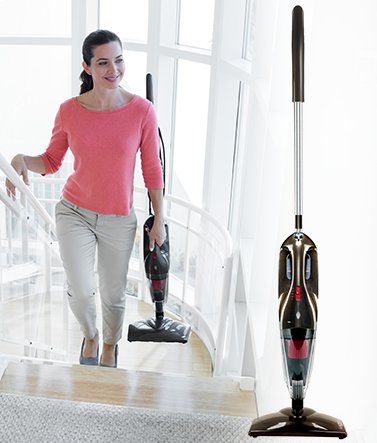 At the touch of a button, you can glide over that same surface with steam mode to mop the area spotless. 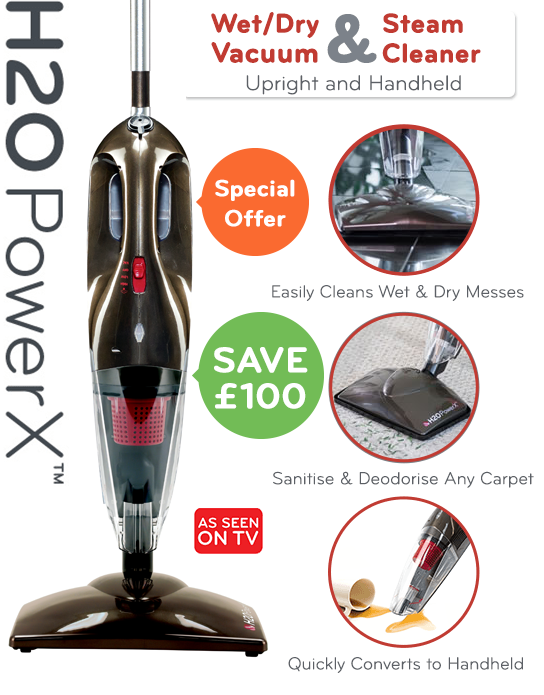 For carpets and rugs, pop on the carpet glider attachment and H2O® PowerX™ will instantly deodorise, help sanitise, and refresh your rugs and carpets – all using only the power of steam. "It saves time & money. 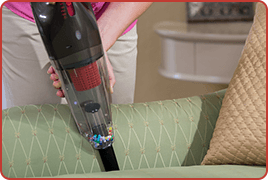 Instead of buying a separate vacuum cleaner & steam cleaner to clean your home here you have the perfect tool for the job." and steam clean even hard to reach areas. Great for all nooks and crannies! 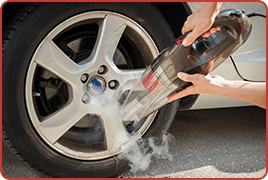 Reach small crevices in furniture or detail cleaning in your car. Help sanitise your home without chemicals. Steam tough and gritty surfaces like sinks and ovens. Tough enough for outside grime. 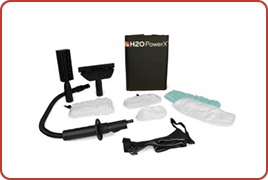 Take H2O® PowerX™ outside for vehicle and external home cleaning. 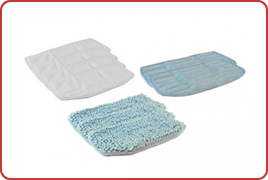 Make sure that you've always got a spare cloth to hand with this cloth pack. Keep your H2O® PowerX™ working on top form with these spare water filters, helping to reduce the effects of lime scale build-up. 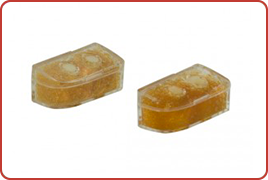 * Lower efficacy results achieved on wooden surfaces.